I’m almost little embarrassed to admit how hard I laughed at this, and for how long……ALMOST! I don’t really give a crap what the subject matter is to be honest with you, but I really wish that the people who have been “doing this” lately can eventually see how silly, and kind of ridiculous (if I can be quite frank) they look. Moral of the story: You don’t need to take away from something in order to prove the importance of something else. If you do, then your argument is nonsense, and had no solid ground to begin with. 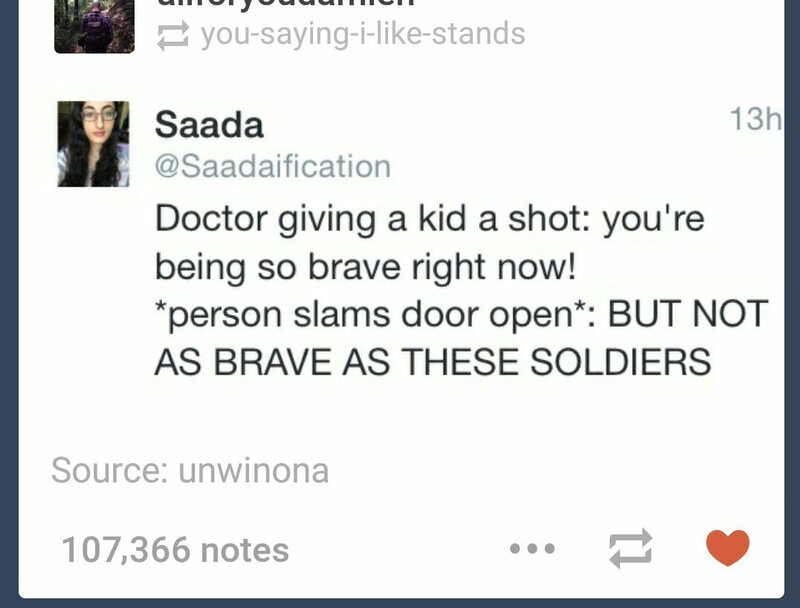 Bravery is a really relative term.